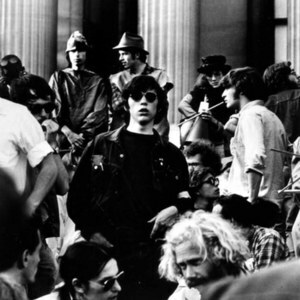 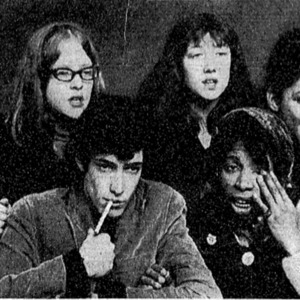 This is a 1968 photo of SCORE member Tom Hurwitz at a Columbia University protest . 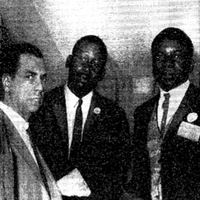 Tom is the son of Leo Hurwitz, who, like the Gilfords of 7 Arts CORE, was blacklisted for his political activities. 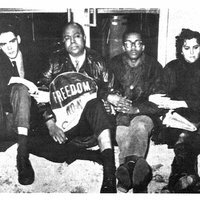 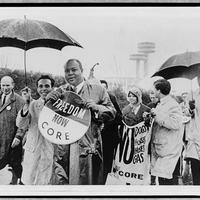 This is a April 22, 1964 photo of East River CORE members Tom Kahn (White male) and Rachelle Horowitz (White female) at the 1964 World's Fair demonstration with James Farmer (holding 'Freedom Now' sign). 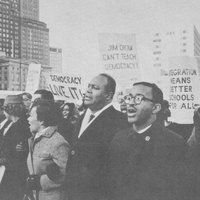 This is a April 22, 1964 photo of James Farmer leading a demonstration at the World's Fair. 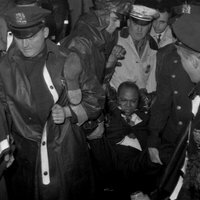 This is a April 22, 1964 photo of James farmer being arrested inside the World's Fair. 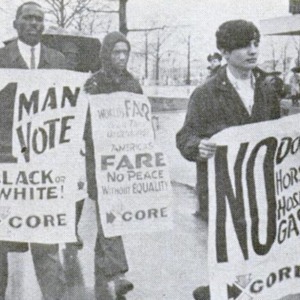 The photo illustrates CORE's take on passive resistance. 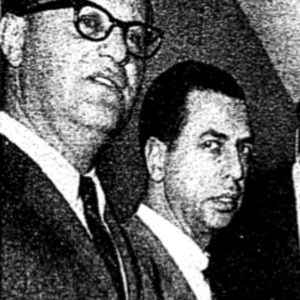 Farmer is seen here practicing the CORE technique of 'going limp' when arrested. 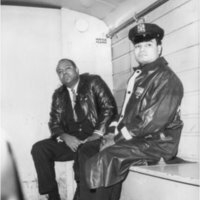 This is a April 22, 1964 photo of James Farmer in the back of a police paddy wagon after being arrested at the World's Fair.